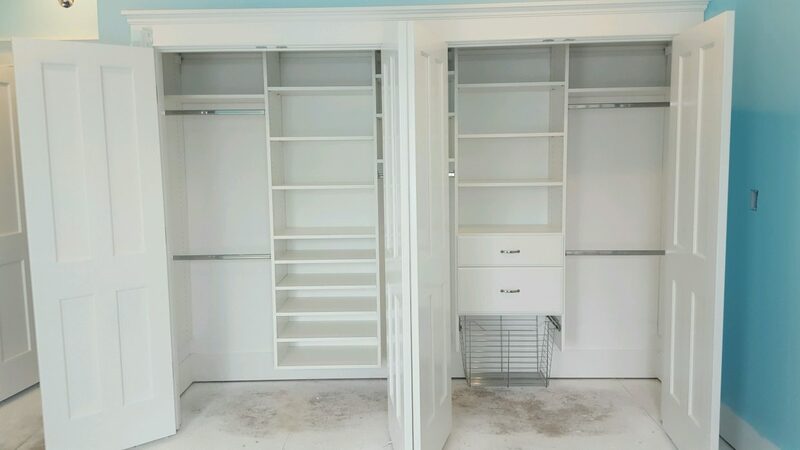 Master Closet in White with Custom penninsula featuring 16 drawers! Combination Wall Mount and Floor Mount. 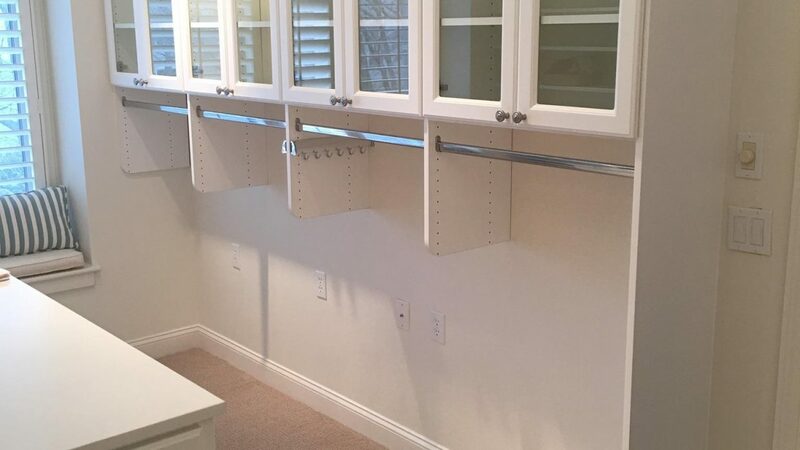 Master Closet in White featuring Island and Glass Framed Doors. 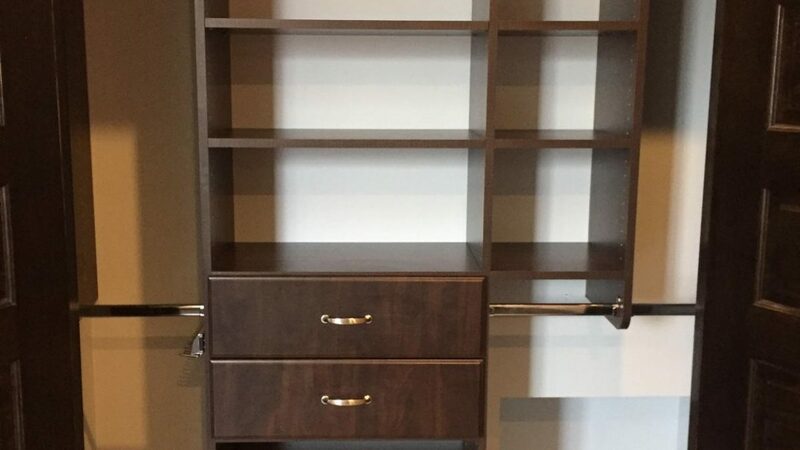 Chocolate Wall Mount Reach-In Closet. Moulded Drawer fronts and chrome hardware. 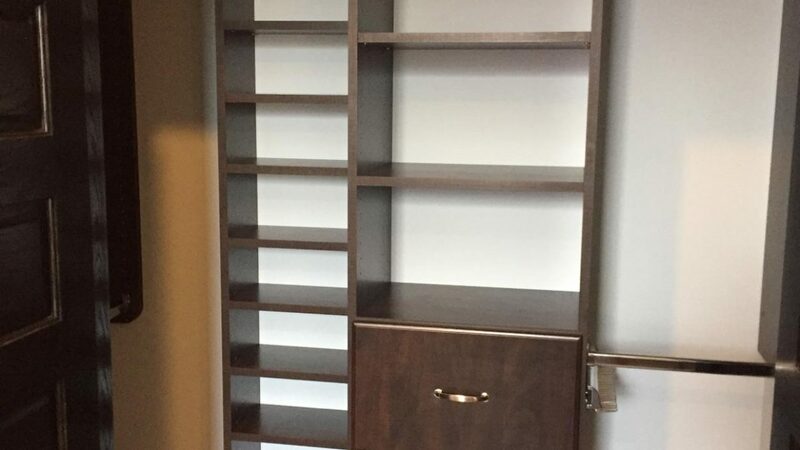 Chocolate color Walk-In Closet. 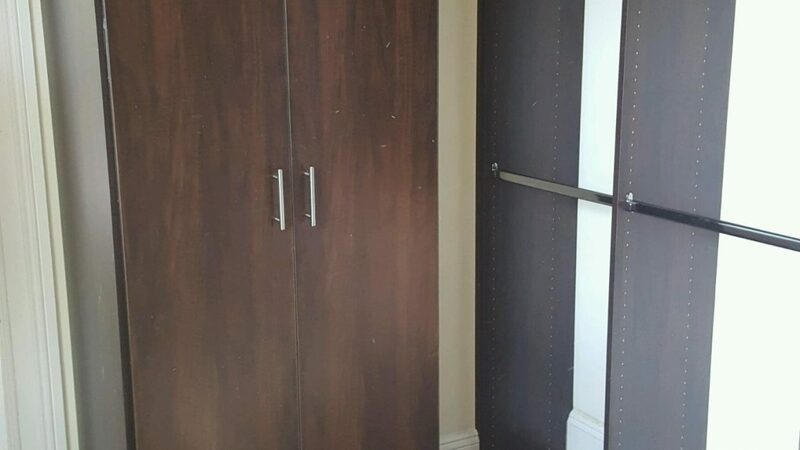 2mm style doors and double hanging shown. 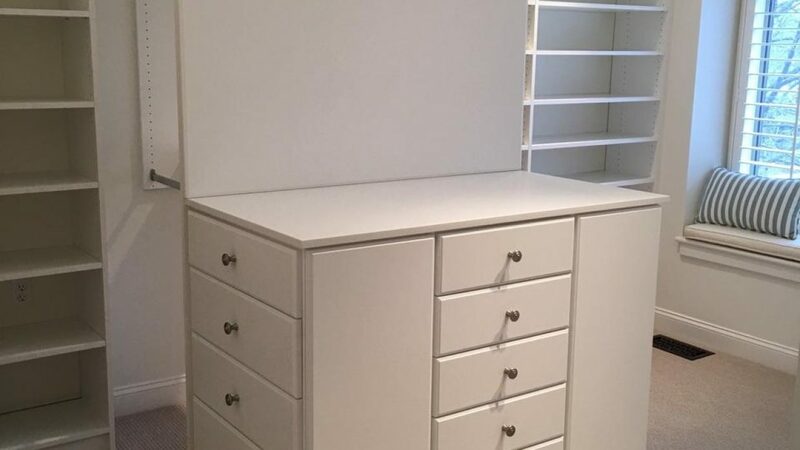 Raised Panel Style Drawer Unit. Oil Rubbed Bronze paddle style handles. 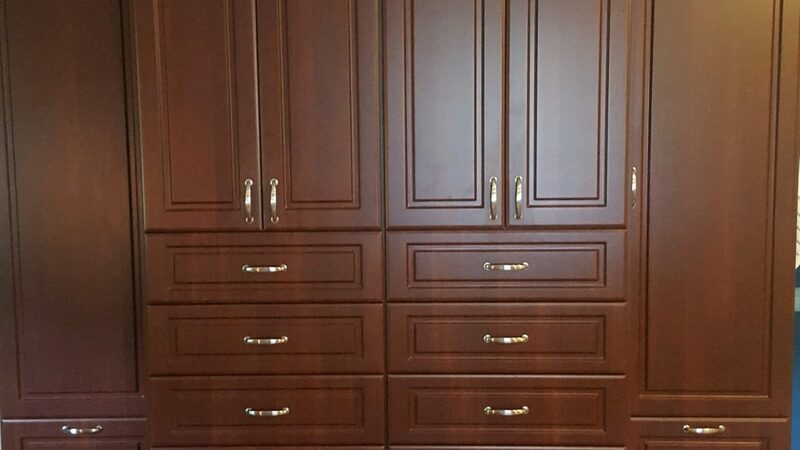 Bedroom wardrobe unit and desk Shiraz color with crown moulding and Raised Panel Doors and Drawer fronts. 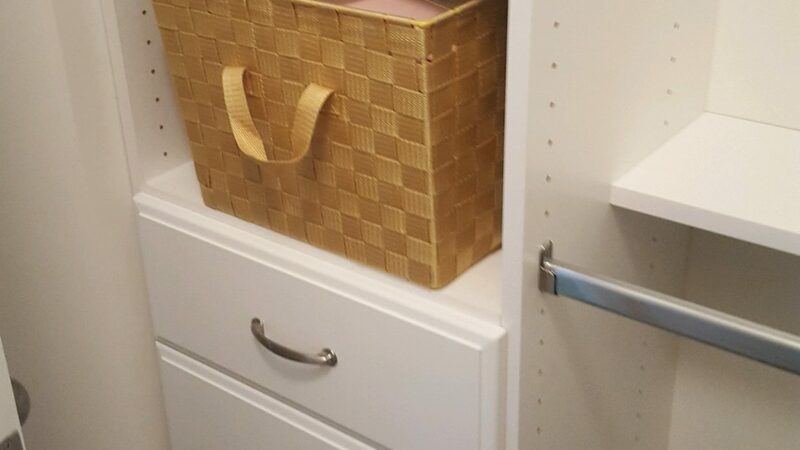 Customer’s basket shown on white closet drawer unit. 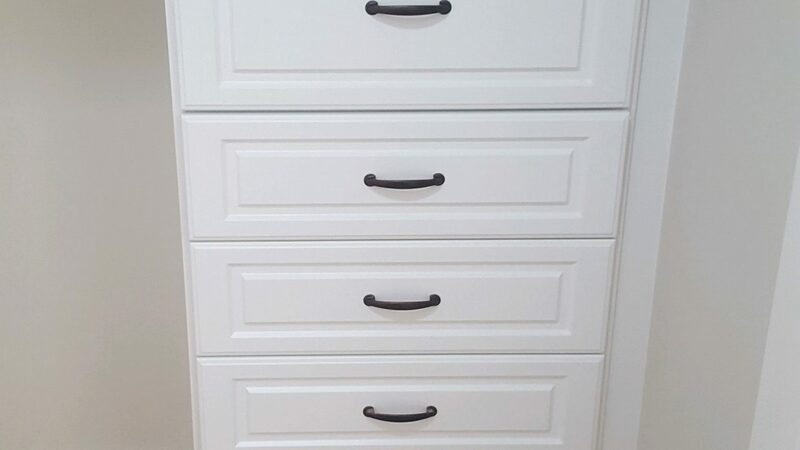 Moulded drawer fronts and chrome hardware. 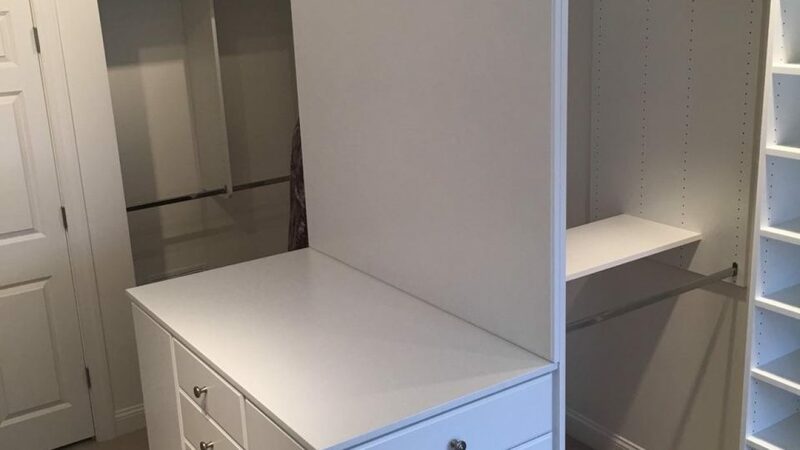 White closet with Floor mount closet featuring raised bottom shelf. Moulded Drawer fronts and adjustable shelving. 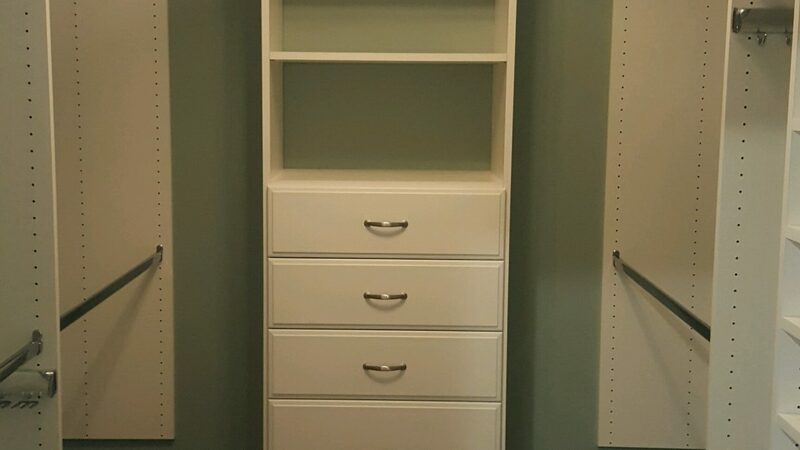 Classic Double Reach-In closets with Double Hanging, shoes, shelves, drawers, and laundry basket. Wall Mount Drawer Unit with moulded drawers. 6″ elevation and chrome rods and hardware. 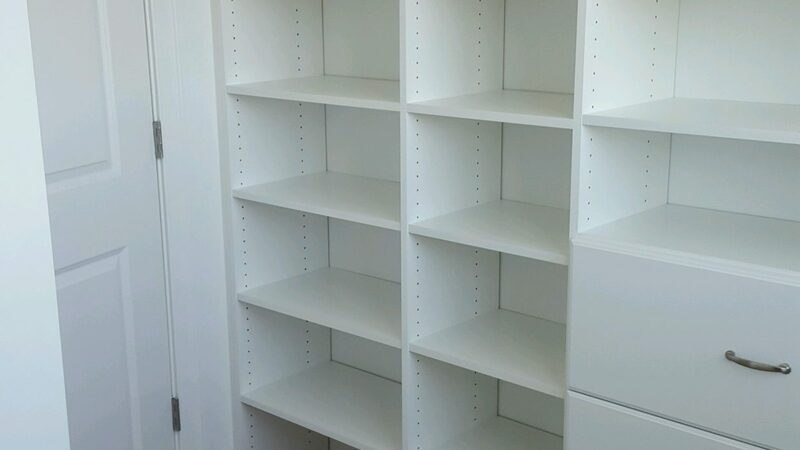 White material for closet.